Well I left you hanging last time with me in pure overload and shock – nothing’s changed. This is still amazing, but now I’m overloaded because of the requirements of the job! I wake up early every morning and glean all I can from every model that I have access to. I then use my best judgment and years and years (3, cough) of collegiate knowledge to work on how the weather is going to change and affect our science objectives. For instance, there are these things in the atmosphere called shortwaves. [Begin digression] They are called shortwaves because they are smaller than the larger scale waves. Imagine an ocean wave rising toward the beach with a surfer on it. The surfer’s board makes waves within the big ocean wave. 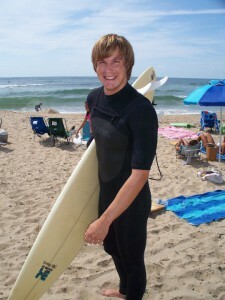 Those are short relative to the big ocean wave – shortwaves. They can kick cyclones (a spinning system – not necessarily a tropical cyclone) into action, or they can break off fragments of an upper-level disturbance away from the flow and make it remain in place for an elongated time dropping days of rain on one location (similar to about a month ago in the Southeast). Those are the fun, tricky little boogers in our atmosphere that like to stir things up. Jerks. [end digression]. The chemical modelers wanted to sample some smoke. So, we planned a mission for smoke with a flight plan all figured out to penetrate the higher concentrations. Well, as the plane neared the smoke during the flight, along came a shortwave and moved it all out of the flight path – sorry team. I love the weather – it really likes to mess with you when it has the chance. Predicting exact orientation, time of arrival, and intensity is universally beyond our control, though. We can tell that shortwaves will move through a system, with a range of intensity, and get an approximate time for arrival and orientation, but no combination of models will agree on all results. Time is flying by, I no longer know what day of the week it is. I only know if it’s a flight day or a planning day. Planning days are great! Certain teams have different objectives, so when conditions are favorable for more than one teams’ objective, a debate ensues! Us forecasters have to provide an unbiased overview of the weather in support of all objectives (hurricane… hurricane… hurricane…). However, when conditions are favorable for one objective, we will mention it (hurricane… hurricane… hurricane…). Monday (26 August) was the first of a two-day flight, also known as a suitcase flight. Nick mentions what that is below, so I’ll leave the explanation to him. On Monday’s weather briefing, all the models pointed to showers or thunderstorms within the area of Ellington (lingo: VCSH or VCTS. SH: SHowers, TS: ThunderStorms, VC: within the ViCinity (5 to 10 statute miles)). The DC-8 is a beast and can take off in mostly anything, while the ER-2 is a little fragile. It has giant wings and a tiny fuselage which requires strict criteria for takeoff and landing. Its wings are so big (this sounds like the beginning of a “yo momma” joke) that when it taxis it has special little training wheels to support them. The instruments aboard the ER-2 are susceptible to water, as well (why is a meteorological research vessel’s instrument susceptible to water?). Days go into planning these flights, so telling a group of people who are anxious for a research flight that they might not get to do it, is daunting. The forecast basically was looking like spotty convection. So, we thought the ER-2 could take off possibly between one of these atmospheric precipitable tantrums. The plane needs to be ready to fly and take off 2 hours before takeoff. The pilot (basically a super-low orbit astronaut; 99% of the earth is below this person as they fly at high altitudes), who wears a form of a space suit, can only be suited up for so long, so the flight can’t really be delayed for an extensive period of time. But I digress… again. We were instructed to come in and assist in the decision on whether the flight was a go or no-go. 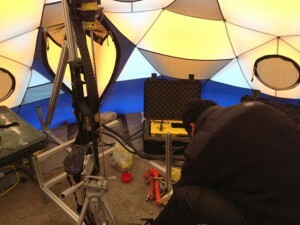 Well, we had to disappoint – it was too much of a risk for the instrumentation to get wet. However, the DC-8 got off without a hitch, and was en route to the Yosemite Rim Fire. The ER-2 had to sit in its hanger and wait for Tuesday. On Tuesday (27 August), the second leg of the suitcase flight, conditions were quite nice, and the ER-2 could takeoff to study air up along the Mississippi River Valley and Great Lakes region. The DC-8 took off from Spokane, WA to follow the smoke plume toward Winnipeg (sorry Canadians for the smoke, eh). Well… here is where the horn tooting comes in (enter XKCD comic about “tooting your own horn”. Google it, it’s hilarious.). 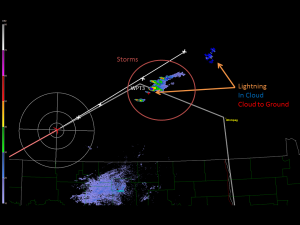 Earlier in the flight plan while the plane was in Montana, I was looking at satellite and radar and noticed some small convection starting near Lake Manitoba. It seemed that the region’s conditions were favorable for afternoon convection (there was a sufficient amount moisture, to keep it minimal). Our NEXRAD system doesn’t supply data outside US territories. This is what the on flight crews have access to if they would like to look. It’s granulated and not the hires stuff we look at. I took it upon myself to read the met discussion from Environment Canada (cool name). A special advisory was issued for southern Manitoba indicating that the region, indeed, was going to experience some heavy convection. Yahoo! The plane’s 3rd waypoint down the road was right in the path of these storms – which were producing a good amount of lighting, including some cloud-to-grounds (CGs), by now. The plane was flying somewhere around 16,000 feet, and these storms were towering to 40,000+ ft. I sent out a warning on our communications channel (it’s really just an instant messenger called “xchat”… it’s not dirty… the “x” is just network lingo stuff) that the plane was headed for a direct hit with these storms. They were still 30+ minutes out, so there was no immediate danger, however, the storms were not going away – they were building. Ten minutes passed by and the storms were getting bigger, so, I sent out another warning with a graphic and a little more detail, and informed the big cheeses directly (who couldn’t see it due to the NEXRAD dilemma). They caught on that they couldn’t see the convection and that the plane was heading right into an electrified storm (that’s right! listen to the grad student who’s been staring at the radar all day!). Now, the plane has on-board radar, but it only can see so far, and the way these storms were tracking (along the next leg of the trip), the plane would have had to perform some crazy maneuvering to get around them and get back on track. So, the big cheeses informed the pilots on our xchat to confirm that there were troubling storms ahead, and that some moron wasn’t just saying “beware”. The plane was rerouted and on it went. I know… exciting right? Well it was! I directly had an influence into a flight track and… yea… I’ll say it… saved 40+ lives (but seriously, it wasn’t that dramatic, I kid). Now when I say something on xchat, I hope these people understand “thall” means business! Like sands in an hourglass, these are the days of my life in SEAC4RS. Keep following along, welcome if you’re new, and I thank you for reading. This post and its photos were provided by Tristan Hall, a student from Florida State University on the Studies of Emissions and Atmospheric Composition, Clouds and Climate Coupling by Regional Surveys (SEAC4RS) airborne science mission. I first arrived in Houston for SEAC4RS on Sunday, 18 August. My colleague Nick picked me up from the airport after a less-than-perfect landing. This was my second time arriving at Houston-Hobby, and 7th flight in two months; so naturally, I’m a pro. I took the stairs down to baggage and lugged my under-50 lbs baggage to go meet Nick at the pick-up area. Nick drove me to the hotel which is basically an apartment; including a kitchen with all the necessary amenities, and a living room. He had to go back to his shift at Ellington; so I was left to let my imagination run wild on what to expect tomorrow morning. Later my professor took me out for dinner, to my surprise, for all the work I’ve done back in Tallahassee. Thanks! On Monday we took off bright and early for Ellington. When I arrived, I was in awe that I’m at a NASA-affiliated facility. The Meatball is everywhere; there are planes, barbed-wire fences, and guards. I have to go into an office to get my visitor badge – they forgot to sign me up for the “restricted sector” badge… again. 🙂 Oh well, I’ll make do. Off to the hanger where our command center is. Being thrown into a shark tank doesn’t even come close to describe how I felt on day 1. Holy Toledo! 0-60 in 1.5 seconds. Everybody had already been in the swing of things for a couple weeks, by now, so I had to catch up fast! I had to look at the weather! Best Job Ever! Knowing how to forecast is more than just looking ahead – it’s looking behind, as well (that’s philosophical for ya there). I had been preoccupied in Tallahassee for the past couple weeks setting up a lab for ozonesonde measurements, so I had slacked a little on the whole “looking behind” aspect. In other words, I had no idea what the weather was like. I spent all day trying to absorb everything. Every forecast model and how it compares to every other model. Every forecast discussion. Every historical satellite image I could find. Every variable of every model we have plotted on our FSU website and every other website out there (seriously, there are a plethora). Everybody here was on the same level as each other and knew what to expect of one another. I was overwhelmed. I felt underprepared, and I felt like I would never catch up. This was a nowcasting shift, which is similar to forecasting, but only a couple hours in the future. The flight plan was pretty set, and conditions weren’t too nasty so it was an easy shift. I spent most of my time looking back, getting to know the weather. Dinner was soup and salad at the hotel lobby. Free is good. Day 2 was a little better. On non-flight days we give a met briefing to lead off the science meeting. I got to see what to expect, and more importantly, what’s expected of me in the days to come. We report on current and future conditions, and point out specific regions of interest if they align with the science objectives of the campaign. Interests include convective outflow, smoke transport, and the North American Monsoon (NAM). After this, my time was spent understanding the atmosphere and its dynamic beauty. There is a trough in the east that just won’t go away, a cut-off low off the coast of California — with nothing steering it, a front moving down through the Great Lakes region, and nothing exciting over the Atlantic, to name a few. Dinner was “BBQ” provided by the hotel. 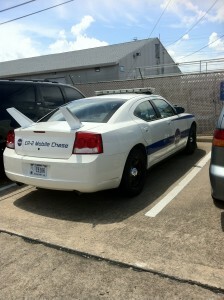 It was chopped beef (not pork; or brisket! ); however, it was sweet with a little too much liquid smoke. What’s with these Western folk? However, I had 2 buns, so I’m not really complaining. I do an excellent job of eating! Day 3 – Wednesday – another nowcasting shift. I felt way more comfortable today. I was getting into the swing of things, and feeling more comfortable speaking up. The flight for today wanted to sample convection before it was intense. 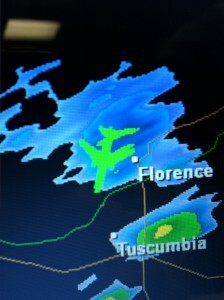 So, we had to find where convection was going to be and direct the planes to it. We settled on northern Alabama which had plenty of little popcorn cumulus. A view of the flight path could make you sick, it’s so swirly. Imagine a child drawing scribbles on a piece of paper. The pilots get in to the clouds and just go wild. The return path for one of the planes looked like it would intersect too strong convection; so it got really exciting for about an hour — and tense. People were depending on our radar skills. 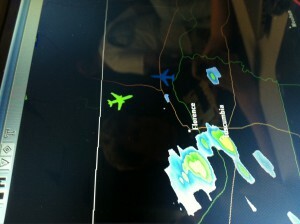 Once the planes made it past the bad convection, Nick and I displayed our GR2Analyst skills recreationally. Those non-met folks were amazed — cross sections; 3D plots; they kept coming back with new people in-tow asking us to show the 3D images. Dinner was stuffed peppers from the hotel! Not too shabby, again. So far, I’ve seen an F-4, the 747 Space Shuttle Carrier, several NASA jets (which, for some reason nobody will let me drive. C’mon there are like 20 of them, let me take one out! ), the DC-8 taxi, and the ER-2 take off and land, which has a chase car… Yup, a car that chases it as it lands, how do I get in that?! It has stabilizers on the back because it goes so fast!). I am learning fast, having a wonderful time meeting all these people, and having an EVEN MORE wonderful time forecasting and nowcasting. This is truly an experience of a lifetime. Thanks professor! I hope you enjoyed this post, and follow along for the next month and a half! 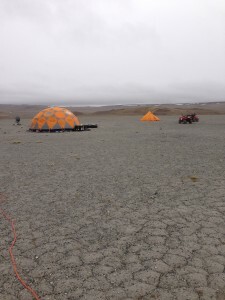 This post was provided by Nick Heath, a student from Florida State University on the Studies of Emissions and Atmospheric Composition, Clouds and Climate Coupling by Regional Surveys (SEAC4RS) airborne science mission. Today’s blog comes from above the clouds, high in the atmosphere in which we live…the one SEAC4RS hopes to better understand. I’m flying home for a week. Speaking of flying, these first 20 days also have flown by, and I can’t wait to get back to Houston for 30 more. As a graduate student who spends most of his time reading peer-reviewed articles and writing computer code, SEAC4RS has provided me a humbling and rewarding experience thus far. I gave my first weather briefing, led a morning pre-flight brief, and contributed as much as possible whenever I could. SEAC4RS also has taught me the importance of urgency. 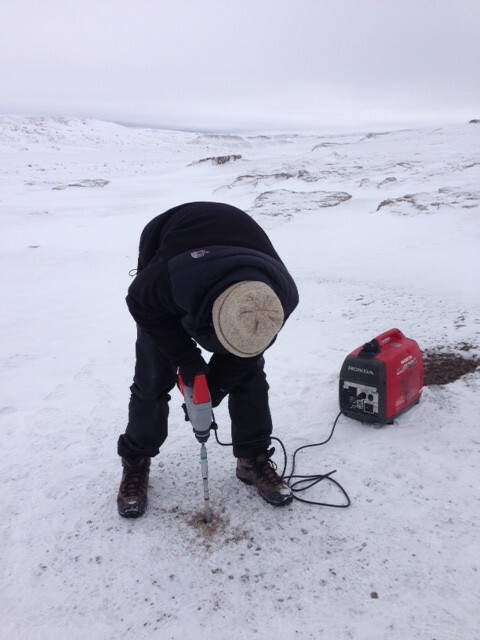 Us scientists (and humans for that matter) always like to be prepared. We like to plan ahead. Unfortunately, with weather forecasting, there is no planning ahead (I know that sounds contradictory!). Things are always changing; so to provide the best forecast, you have to wait for the latest data. This means that you are forced to procrastinate. Then, like the people waiting for their boarding zone to be called, there is a huge “rush to the gate.” But, I’ve found that this isn’t always a bad thing. Sometimes urgency brings out the best in everyone. You become much more efficient, you work as a unit, and you learn what works and what doesn’t. Think of a wild animal out on a hunt: they wait and wait until an opportunity presents itself…they then exhaust an extreme amount of energy in a very short period…followed by relaxation and the reward of having their next meal. Our process is not all that different…we “pounce” on the latest data, exhaust a lot of energy into our briefing, and then get to relax and let the feeling of “a job well done” soak in…very primal of us! In short, I have learned that procrastination is not always a bad thing, and may in fact be beneficial in some cases…(but not for school work, of course!). As for the status of SEAC4RS, things are going great! We flew into some smoke a few days ago, and then spent the all of Friday in the southeast U.S. examining chemistry, radiation, and convective clouds. Next on the agenda is what we call a suitcase flight: the DC-8 will travel into the northwest U.S., stay the night, and fly back the next day. This allows a lot more time to study the region. While in the northwest, we will be studying smoke from wildfires occurring in both California and Idaho. These fires have been a hot topic in the news lately, and SEAC4RS aims to understand their impacts on the large scale. Lastly, as I am flying, the plane just encountered some “rough air” at 36,000 ft. Next time you are flying, and experience turbulence, and get that strange feeling in your stomach, think of SEAC4RS. These scientists are chasing rough air, flying around storms, putting their life in danger, for the hopes of better understanding the processes that affect our world. Not your typical scientists, that’s for sure. The science flight on Friday, August 16th was a big success. What’s more, a member of the met team was selected to fly at the last minute. Lesson learned: always be prepared! Sean Freeman, an undergraduate meteorology and computer science major at Florida State University, put his name on the list as a potential “flyer.” Unfortunately, he found out bad news on Thursday: the manifest was full…he would not be flying on the DC-8. 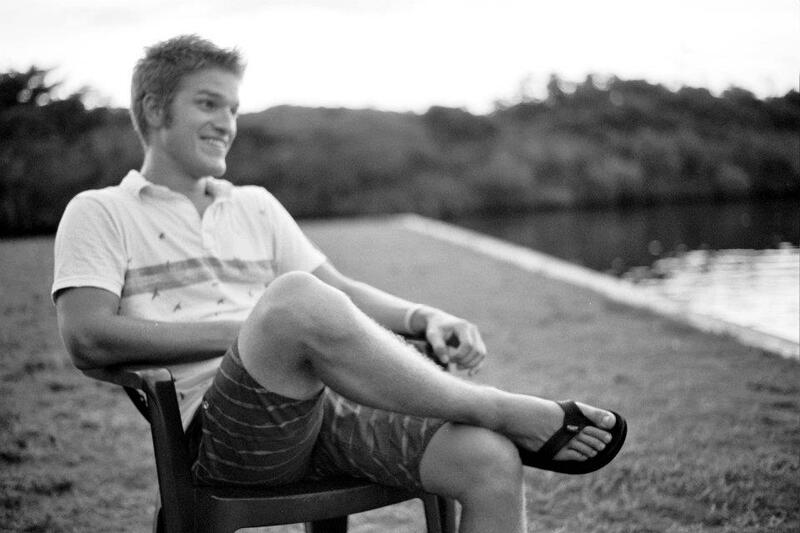 Then, early Friday morning, he received a call that a spot opened up…he now was on the list! I rushed him to Ellington, he received his safety brief, and he was off to experience airborne science first hand. 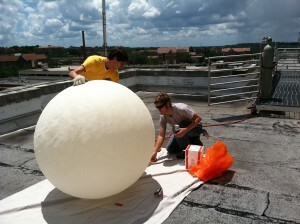 The goal of Friday’s science flight was to examine the North American Monsoon. In general, a monsoon is a seasonal reversal of the wind pattern. During the summer, this comes about because land (e.g., the North American continent) heats up a lot more than the surrounding waters, thus creating a large-scale temperature gradient. Elevated terrain, such as the mountainous regions of Mexico and the western U.S., enhance this process. The net result is a lot of thunderstorms over the continents, which transport pollution into the upper levels of the troposphere. 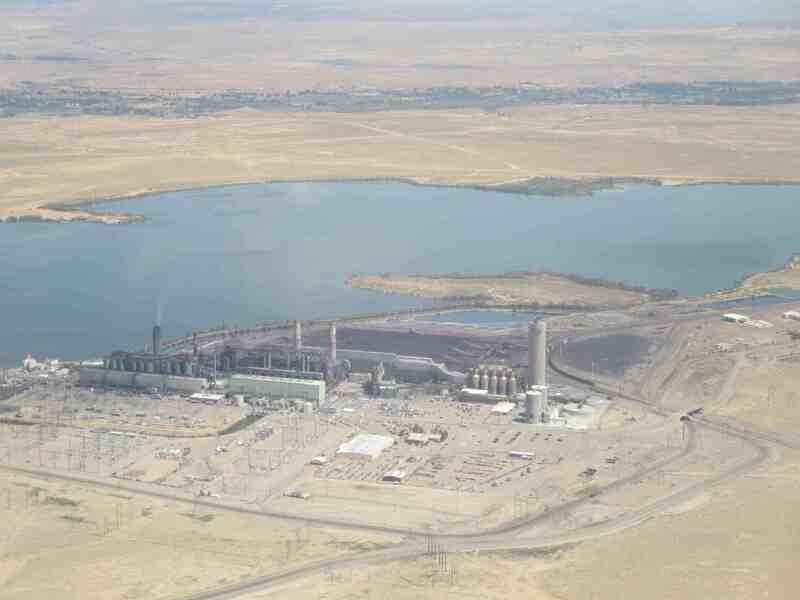 Once there, the pollution has the potential to impact climate on a global scale. So, understanding this phenomenon is very important to understanding our climate. The planes took off at ~10 AM CDT. They headed west along the U.S./Mexico border, sampling aged outflow from thunderstorms associated with the monsoon. They then turned northeast, and headed toward Colorado. 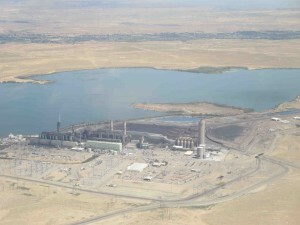 On their way to Colorado, they passed over the large Four Corners power plant, and were able to sample its “pollution plume.” Once over Colorado, they encountered a smoke plume from wildfires. The flight scientists took advantage of this situation and sampled the smoke plume. The DC-8 flew legs through the smoke, while the ER-2 got remote sensing data from above. Storms were beginning to pop up around Houston; so the ER-2 headed home to beat them. The DC-8 headed home, but did some more science on its way back. Over Texas, it descended close to the surface to sample air from a large oil field. As the DC-8 got closer to Ellington, a large cluster of thunderstorms decided to pop up and race them home! Met team member Sean Freeman was lucky enough to ride in the cockpit for landing, so he saw these storms up-close and personal. A few commercial airlines even had to make emergency landings at Ellington to avoid these storms. The DC-8 landed just before the rain and lightning reached Ellington…success (well kinda, the storm was not forecast by the met team, so no success for us!). 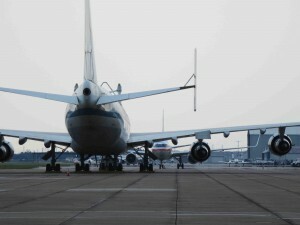 Below are some great images Sean provided from his trip on the DC-8. 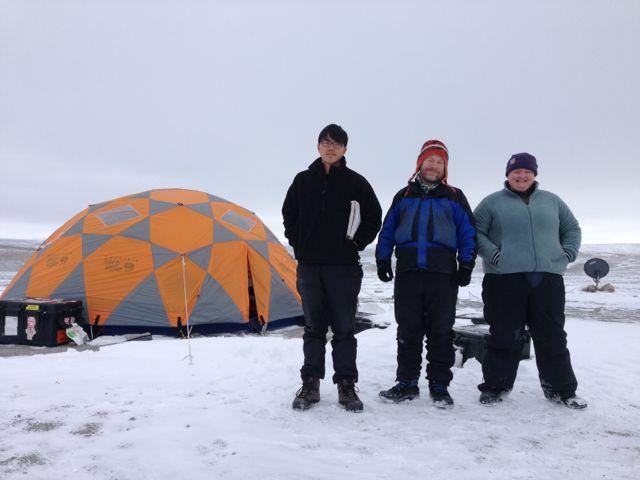 Overall, this flight was a great success and accomplished many of the science objectives of SEAC4RS! Author Jessica CullerPosted on August 21, 2013 August 21, 2013 Tags Airborne Science, Nick Heath, SEAC4RSLeave a comment on Unforecasted Fun! First Science Flight for SEAC4RS! 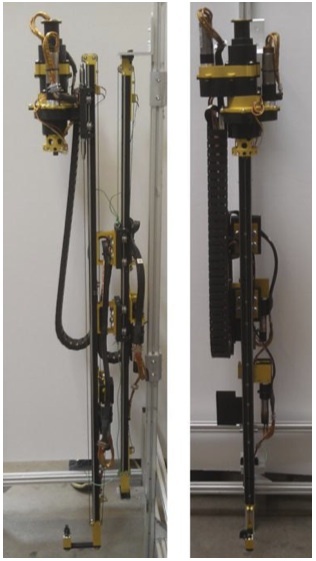 This post and photos were provided by Nick Heath, a student from Florida State University on the Studies of Emissions and Atmospheric Composition, Clouds and Climate Coupling by Regional Surveys (SEAC4RS) airborne science mission. Today was a busy day at Ellington Air Force Base. SEAC4RS “took off” with our first science flight out of Houston. 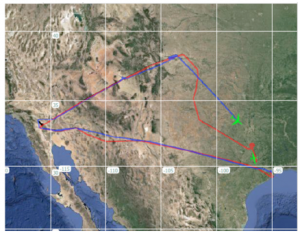 Three planes were deployed: the NASA DC-8, the NASA ER-2, and the SPEC Learjet (based in Huntsville, AL). 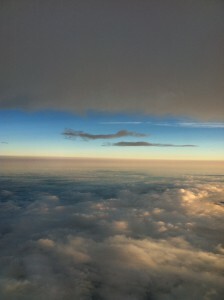 The goals of the flight were to examine southeastern United States chemistry and to fly through a growing cumulus cloud (but not growing too rapidly, of course!). As a member of the meteorology (met) team, Jim Bresch rose before the sun to give last minute weather consultation for the flight. Then, some of the met team prepared for “nowcasting,” while others put together a weather briefing for the remainder of the week (I told you it was a busy day!). Nowcasting involves using current conditions to make short-range forecasts for the next 1-2 hours. 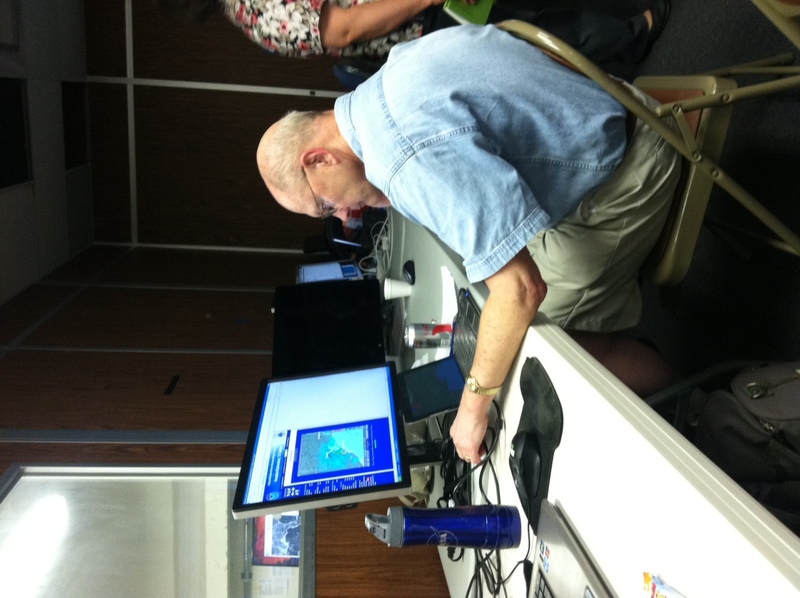 We had a group of people looking at the latest radar and satellite imagery and relaying information to the planes in real time. The goal is to keep the planes safe, but also guide them to their target locations (such as a growing cloud). The planes took off around 8 AM CDT, and things got lively in mission control. The nowcasters were nowcasting, the flight navigators navigating, and everyone had something to contribute to the flight. Things got interesting around 2PM when the DC-8 and Learjet began looking for storms to survey over northern Alabama. 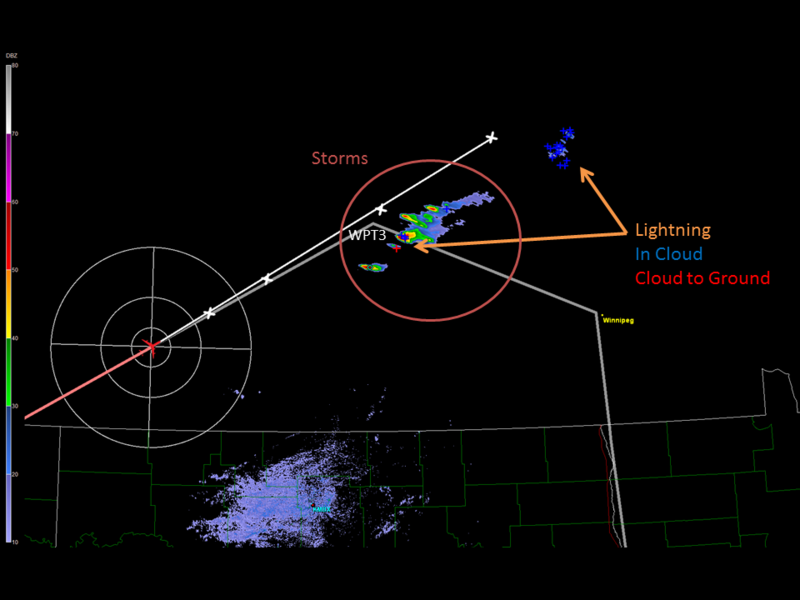 Members of the met team were watching the radar and satellite to help the planes find a storm they could fly into. 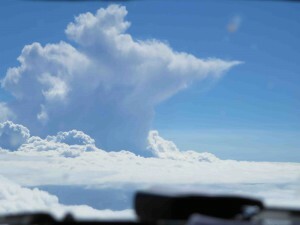 For the weather nerds out there, the planes were looking for an isolated storm whose top was not higher than ~25,000 ft. The nowcasters were using GR2Analyst to find these conditions, and relaying information and pictures up to the DC-8 in real time. Eventually, the planes found a storm they could survey, and the Learjet and DC-8 both made passes through it. 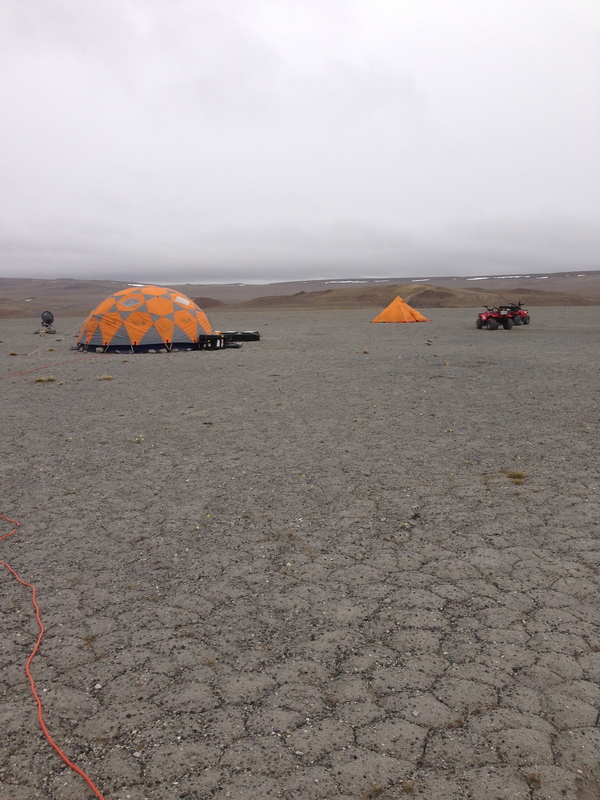 While the planes were flying, the science team was preparing plans for the next flight, which is to take place Wednesday, 14 August 2013. We had a meeting at 11 AM. 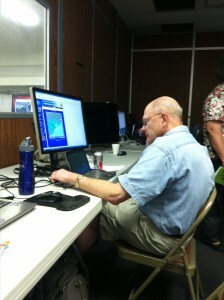 Mission meteorologist Lenny Pfister gave the weather outlook for the rest of the week. Following that, Pablo Saide, from the University of Iowa, presented the atmospheric chemistry forecast for the same time frame. Many interesting things were presented: very anomalous weather patterns, lots of convection, smoke plumes travelling into our region all the way from Idaho, and a large prescribed fire set to take place on Wednesday in South Florida. 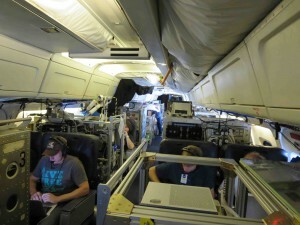 In the end, the science team decided to focus the next flight on SE USA chemistry and the North American Monsoon. Flight tracks currently are being drawn up to make the most of our situation. It is amazing to watch the mission leaders synthesize all of this information, and then design a brilliant flight plan to capture all of the major features. I guess there is a little artist in all of us scientists! I will be back with more updates after our next flight. 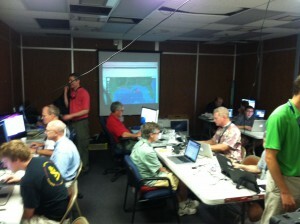 Mission control at Ellington Air Force Base. Things started getting busy after the DC-8 and ER-2 took off. Meteorologist Henry Fuelberg on his phone giving current weather updates to help coordinate a ozonesonde launch as a part of SEAC4RS. 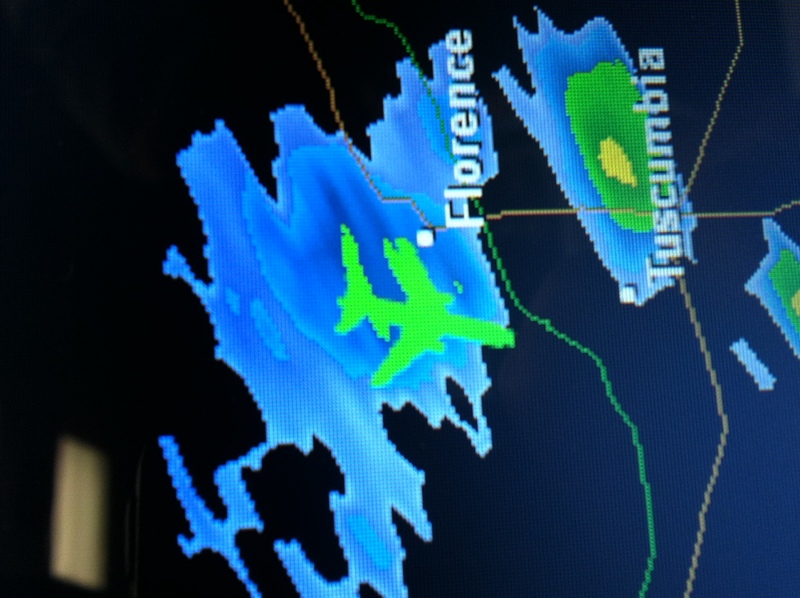 Radar image showing the DC-8 (blue) and Learjet (green) as they meet up to sample a convective cloud. Nowcasters were watching this closely and relaying storm top heights to the scientists onboard the DC-8. 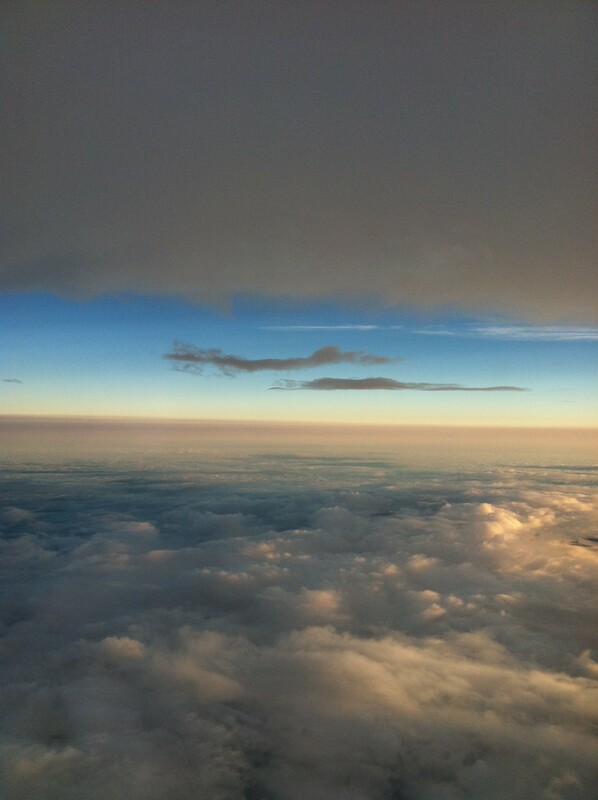 The Learjet in the center of the convective cloud, as seen from GR2Analyst. Great science in the making! Author Jessica CullerPosted on August 16, 2013 August 16, 2013 Tags Airborne Science, SEAC4RSLeave a comment on First Science Flight for SEAC4RS!